Invite family and friends to celebrate the beautiful future of your married life in the accessible heart of Africa’s majestic splendour. Thatched Gazebo, Bon Accorde Resort: With a view to sigh for, this tranquil venue is enough to persuade couples to renew their vows and makes a wonderful place to mark the beginning of married life. Accommodates 150 guests with chairs only and 100 guests using both tables and chairs. Gazebo, Nagle Dam and Game Reserve: This lovely space beside the dam is the choice of music stars and those who love the setting’s stunning natural space. Choose this if you’d like a truly exclusive ceremony for a handful of guests. Then move on to the Nagle Conference Centre to accommodate a few more at your reception or after-party or choose our marquee for a larger party. Conference Centre, Nagle Dam and Game Reserve: This pretty thatched sandstone building is perfect for those who want a more exclusive wedding away from it all against a backdrop of natural beauty. It accommodates about 30 guests. Conference Hall, Albert Falls Dam and Game Reserve: This well-equipped and popular hall accommodates up to 250 guests. It comes fully equipped with 20 round tables and 200 chairs. Thatched Gazebo, Albert Falls Dam and Game Reserve: Celebrate your morning wedding or small party with a lovely view across the reserve. This gazebo accommodates up to 40 guests. 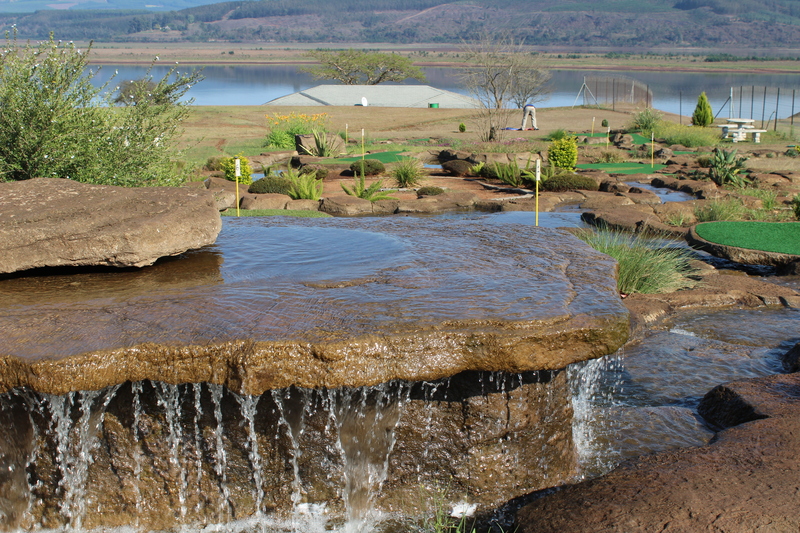 Conference Hall and Lapa, Hazelmere Dam and Resort: Hazelmere’s airconditioned hall is popular for small weddings and morning ceremonies, hosting up to 30 guests. A small kitchen is attached and it also comes fully equipped with tables and chairs. For a less formal, open-air party, enjoy our Lapa at the Top Campsites. This also has a washup area. 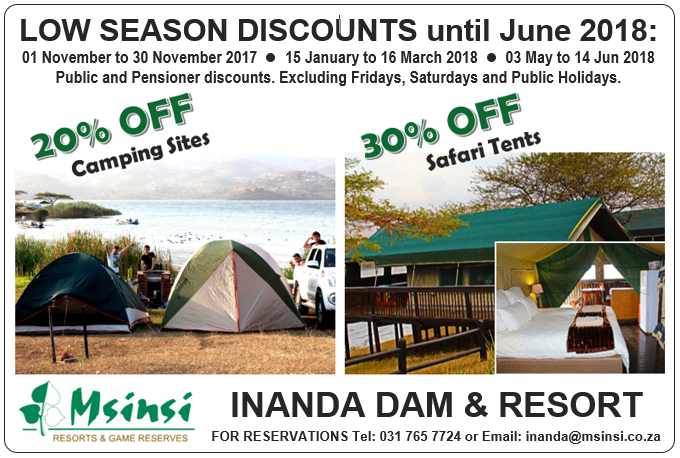 Marquees: Talk to us about a demarcated area to erect a marquee in any of our reserves - bring your own marquee or hire one through Msinsi Resorts and Game Reserves. Our marquee accommodates 200 guests and comes complete with tables and chairs. You can have morning ceremony in any of our gazebos, then hire a marquee to follow up with a reception.